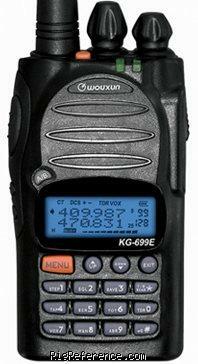 The Wouxun KG-699E is a dual band hand-held featuring a full numeric keypad which allows direct frequency entry. Many versions are available for different frequency bands. The version with 1750Hz tone and Priority Scan also comes with 200 memories instead of 128. Estimating the value of a rig can be challenging. We collect prices paid by real hams over the years to help you estimate the current value of the Wouxun KG-699E. Just bought or sold this model? Let us know what you traded it for and help other ham operators!